As of July 2015, Maj. Gen. Andrew M. Mueller is the new Air Force Chief of Safety, Headquarters U.S. Air Force, Washington, D.C., and Commander, Air Force Safety Center, Kirtland Air Force Base, New Mexico. He develops, executes and evaluates all Air Force aviation, ground, weapons, space and system mishap prevention, and nuclear surety programs to preserve combat readiness. Additionally, he directs research to promote safety awareness and mishap prevention, oversees mishap investigations, evaluates corrective actions, and ensures implementation. Finally, he manages, develops and directs all Air Force safety and risk management courses. 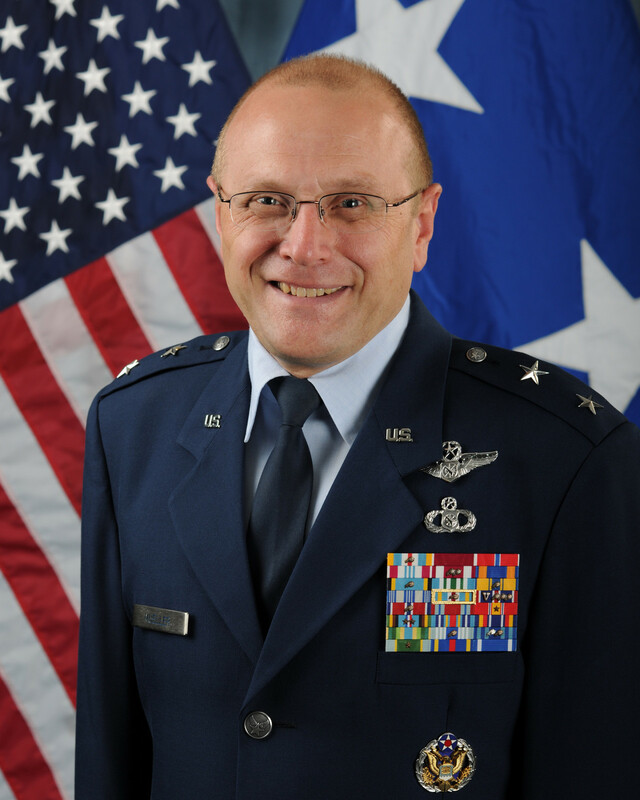 Maj. Gen. Mueller succeeds Maj. Gen. Kurt Neubauer who is retiring in September 2015. After the Air Force became a separate department, the Air Force Chief of Staff designated the Office of the Inspector General to oversee all inspection and safety functions. These functions were consolidated in an inspector general group at Norton AFB, Calif., in the 1950s. On Dec. 31, 1971, the Air Force Inspection and Safety Center was activated, replacing the 1002nd Inspector General Group. The center was then divided into the Air Force Inspection Agency and the Air Force Safety Agency in August 1991. Reorganization of the air staff in 1992 created the Air Force Chief of Safety position, reporting directly to the Air Force Chief of Staff. The Chief of Safety became dual-hatted as the commander of the Air Force Safety Agency. In July 1993, the agency moved to Kirtland AFB due to the closure of Norton AFB. Following The Blue Ribbon Panel on Aviation Safety in 1995, the Air Force Safety Center was activated on Jan. 1, 1996. 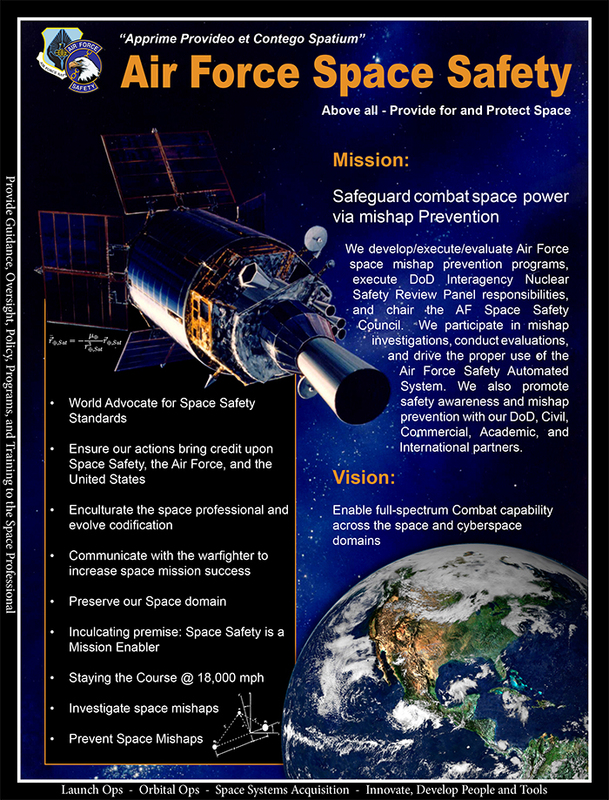 The Space Safety Division, part of the Air Force Safety Center, is responsible for the assured safe access to space through the oversight of launch, range, orbital and end-of-life safety programs. As the Department of Defense lead for space safety, the division is responsible for overseeing the safe development, operation and maintenance of Air Force space assets to include ground-based systems. This includes coordination of space safety principles and policies among national and international space-faring entities. The division is also the DOD representative to the Inter-Agency Nuclear Safety Review Panel, advising the president on all space launches that carry nuclear material. As final goal, the Space Safety Division advocates standards of practice for use by all space users via United States interagency cooperation and the United Nations Committee for the Peaceful Uses of Outer Space. In the early 1960s, President Kennedy established criteria requiring an Interagency Nuclear Safety Review Panel (INSRP) to provide the President of the United States with a risk assessment for launches containing threshold amounts of radioisotope materials. Air Force Safety provided this information to the President of the United States for every mission since that time on behalf of the DoD and synchronized work with the Department of Energy, Environmental Protection Agency, National Aeronautics and Space Administration, and the Nuclear Regulatory Commission. Today Air Force Space Safety executes the INSRP mission on behalf of the DoD Launch Abort Working Group 45th Space Wing Safety, Space Nuclear Systems Working Group Sandia National Laboratories. Most recent INSRP mission was the Mars Science Laboratory Curiosity launched in 2011. Space, long thought to be America’s final frontier, has transformed over the past several decades into a complex domain the Air Force must operate in safely. Recent Hollywood productions depicting dangerous space events – hurtling space debris blowing satellites to bits; disconnected astronauts flying off into infinity – help show the risk, albeit exaggerated, of operating safely in space. History has proven the dangers of space and launch operations with examples of failed missile launches, exploding rockets on the launch pad, two Space Shuttle mishaps, and even a ‘mid-air’ collision in space. Today, these tragedies and mishaps emphasize the need to develop and mature a safety culture for Airmen operating in the space domain. According to the Air Force’s top safety chief, space safety continues to grow as a vital industry among space professionals worldwide. A newly-defined mission set within Air Force safety circles, the Space Safety Division (SES) at the Air Force Safety Center, recently obtained full authority to develop space safety policy, guidance and initiatives to help prevent Air Force space mishaps. Drawing parallels to flight, ground, and weapons safety programs, SES seeks opportunities to improve space situational awareness, or SSA. Improved SSA can, in turn, potentially mitigate the risk of future mishaps. According to Mark Glissman, SES director, space hazard mitigation, explained as SSA with a safety focus, offers unique challenges to Air Force operations, since space is a shared, global domain requiring international collaboration and management. The Space Safety Division didn’t form overnight. In 2001, the U.S. Congress’s National Commission on Space concluded the security and well-being of the U.S., its allies and friends depend on the nation’s ability to operate in space. To ensure continued U.S. space leadership and ability to meet future threats, the Commission made several recommendations for the administration, Department of Defense and Air Force to reflect the growing importance of space. In response, the Air Force released a directive with a requirement for the Air Force chief of safety to review, coordinate, and approve all new space safety-related policy documents to ensure adherence to international treaties and Department of Defense and Air Force space safety policy. 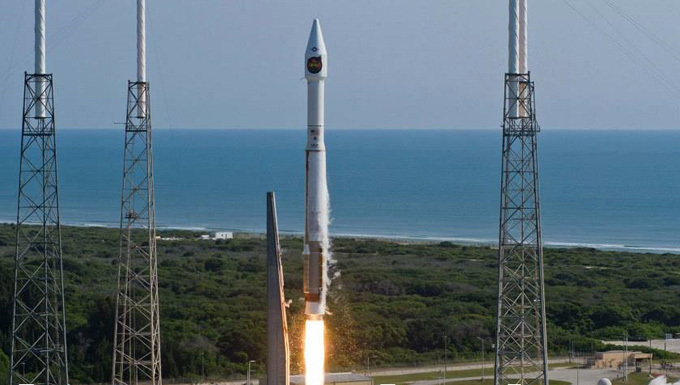 “Combined with the Commission’s recommendations, this directive not only outlined the mind-set that safety should be normalized into U.S. Air Force space operations to the same degree and commitment as Air Force flying, ground, and weapons safety, but also planted the seed for a Space Safety Division equal to the other established Air Force Safety Center divisions,” Glissman said. Today, where there once was little, if any, policy language regarding space safety, it’s evident space safety is fully incorporated into Headquarters Air Force directives with flight, munitions, nuclear, and ground, Glissman added. “Our HAF Mission Directive 1-46 makes our SES mission clear: ‘Formation of space safety policy, the execution of plans, and the establishment of programs to implement Air Force safety policies and plans.’ In layman’s terms, we provide instructions for field-level programs and feedback on mishap prevention effectiveness of efforts,” Glissman explained. As SES becomes more integrated with the Air Force safety enterprise and the international space community, new programs to provide improved SSA to Air Force operations are on the horizon. “For example, by trending existing space debris data we may be able to use that information to reduce future mishaps, either by adjusting space asset maneuvers, improving fuel planning, or increasing payload lifecycles,” explained Lt. Col. Baron Greenhouse, SES deputy director. “This could help prevent potential issues for Air Force assets in highly congested areas,” Greenhouse added. Similar to the Air Force’s Bird/Wildlife Aircraft Strike Hazard — or BASH– program, which strives to mitigate the impact of wildlife on air operations, or similar to current proactive safety programs, which take aerial hazard reports from aviators to develop a better situational site picture of the airspace, SES plans to work toward space-related mitigation and/or situational site programs for space operators in the future.